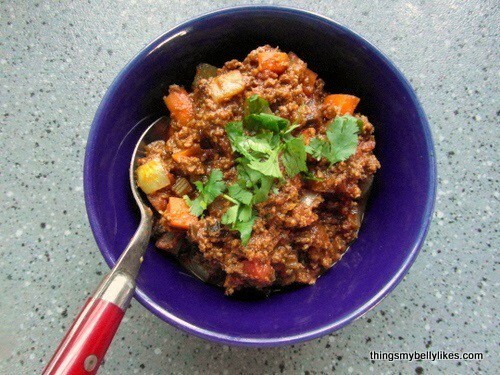 20 Whole30 Ground Beef Recipes: Meaty Compliant Meals! 20 Whole30 Ground Beef Recipes To Try! The Whole30 program is becoming increasingly popular for those looking to transition to healthy and clean eating. If you are not familiar with the Whole30 diet program, it encourages a paleo-style diet for 30 days, stripping away food groups that promote inflammation and hormonal imbalance such as dairy, sugar, grains, legumes and alcohol. If you love beef and you want to try Whole30, you don’t have to worry! This beloved meat is totally Whole30 compliant, and we’re bringing you 20 ground beef recipes to dig in to! With one look, this dish is a bit intimidating to make, but really the preparation is quite simple. The combination of sweet potatoes, ground beef, and broccoli will definitely keep your stomach full and your taste buds satisfied. You can get the Sweet Potato and Ground Beef Recipe at The Healthy Foodie. To make this dish Whole30 compliant, leave out the cheese! One of the Whole30 ground beef recipe favorites is this mini meat loaf recipe. After all, who could resist the mixture of ground beef, mushrooms and spinach? 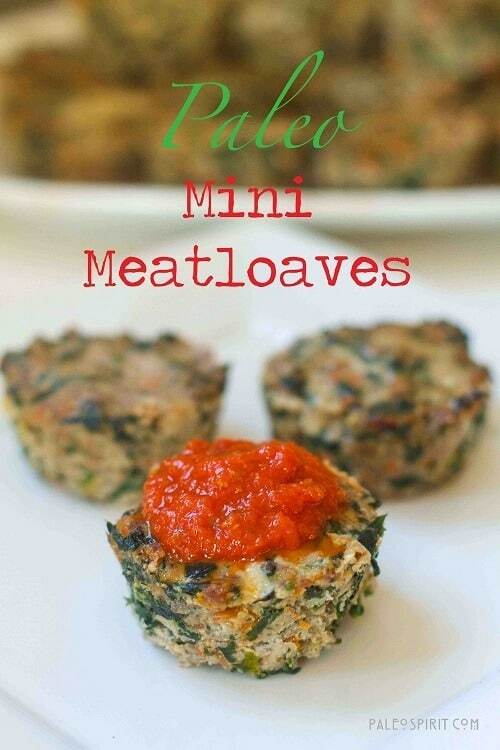 Grab the Mini Meat Loaves Recipe from Paleo Spirit. Yes, you can experiment with different cuisines even while you are on the Whole30 diet program. These Whole30 meatballs are made more flavorful with the addition of chopped parsley. 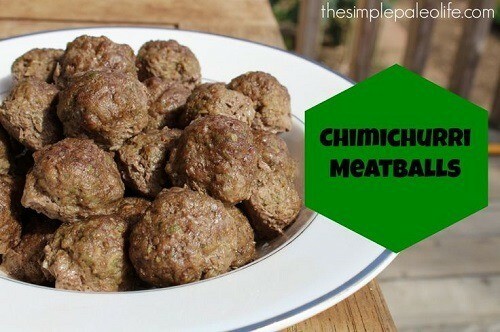 Head on to The Hollywood Homestead to get the full Chimichurri Meatballs Recipe. Yep, you can go Mexican even on a diet! 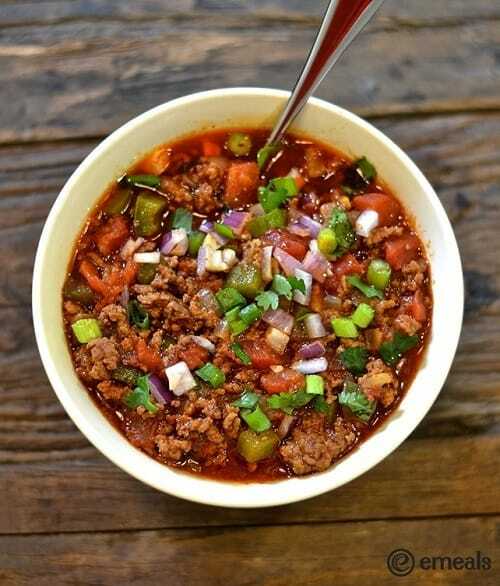 This Whole30 ground beef recipe features ground beef, jalapeno and Mexican spice blend in a hearty and tummy-warming soup. 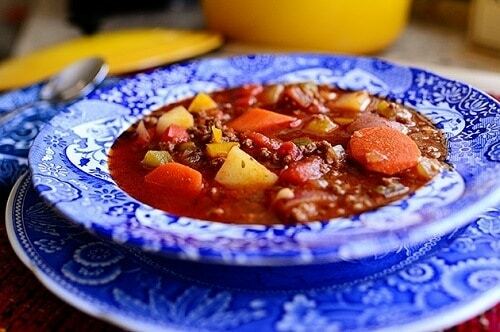 Get the Crockpot Chili recipe from The Paleo Newbie. Remember, don’t include the bacon unless you can find the compliant variety of Whole30 bacon. Also check out more our collection of Whole30 chili recipes if you’re looking to try a few more chili-style meals. This recipe is perfect for the curry lovers, with a wonderful balance of flavor (thanks to the curry powder) and cream (thanks to the coconut milk). Make sure to grab the Ground Beef Coconut Curry Recipe from My Heart Beets. Satisfy your pasta cravings with this pasta-like dish that includes tomato and meat layers. This recipe is quite versatile as you can prepare it as a casserole or you can stack it up. 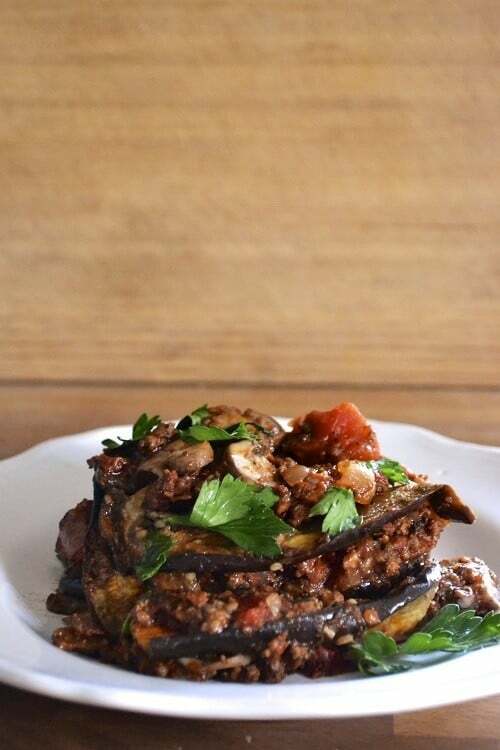 You can grab the Eggplant Lasagna Recipe from Paleo Chef. We know we said no to grains but before you make an objection, this recipe doesn’t feature your classic grain. Instead, this nacho pie features ground beef, plenty of spices and bread pie crust made of raw cauliflower. However, make sure to leave out the cheese and sour cream on this one. Grab the Nacho Pot Pie Recipe from Beauty and The Foodie. This is a healthy version of the usually unhealthy Taco Bell! Mix ground beef with a few tomatoes and a dash of taco seasoning and indulge.We recommend making your own taco seasoning, as it can be tricky to find a compliant kind. Grab the Paleo Taco Skillet Recipe from Paleo Gone Sassy. 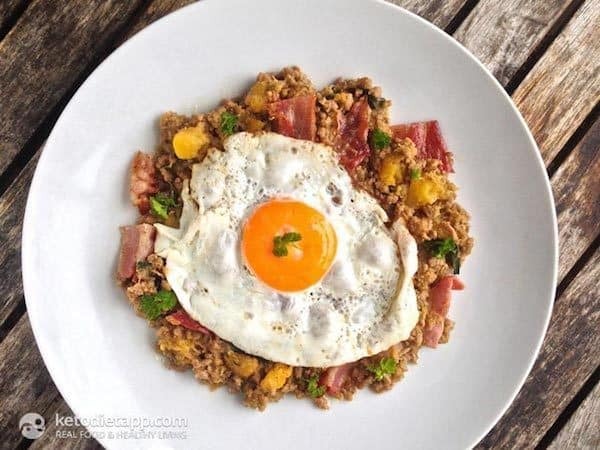 If you are thinking of eating ground beef for breakfast on Whole30, this is one dish to consider. 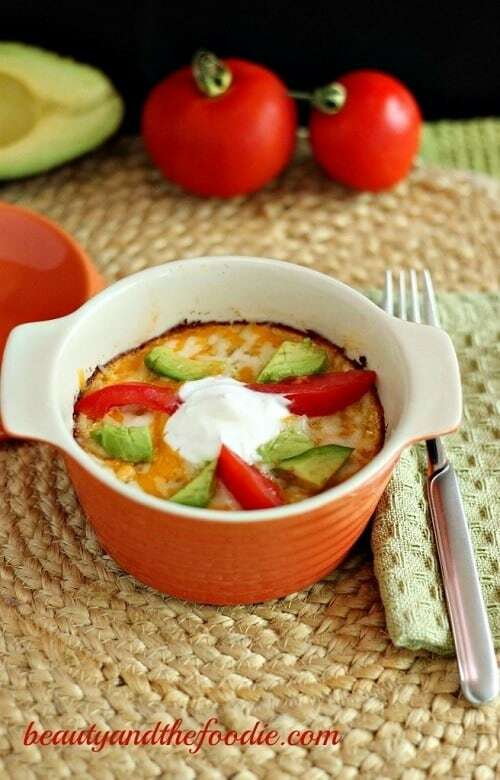 Wake up to the wonderful smell and amazing taste of ground beef, eggs and bell peppers. 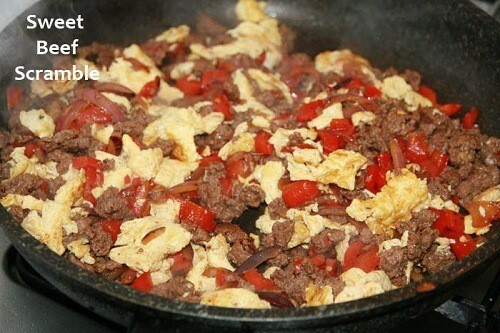 For the full Beef Scramble Recipe, please visit Good Food Eating. Make sure to leave out the sherry and tamari, as those ingredients are not compliant. 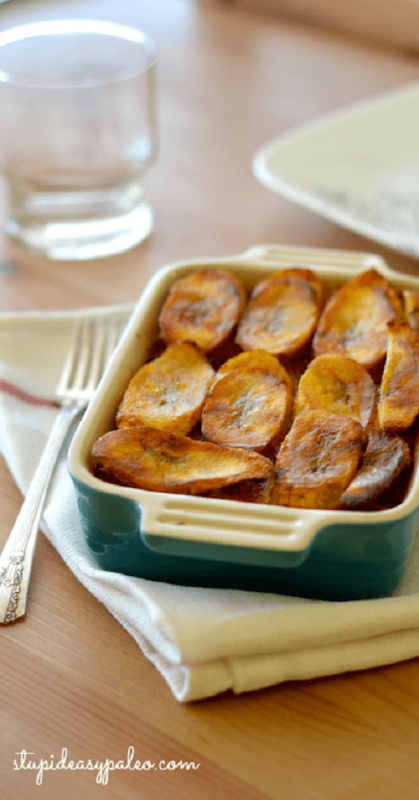 This is one dish that will definitely make you go bananas! 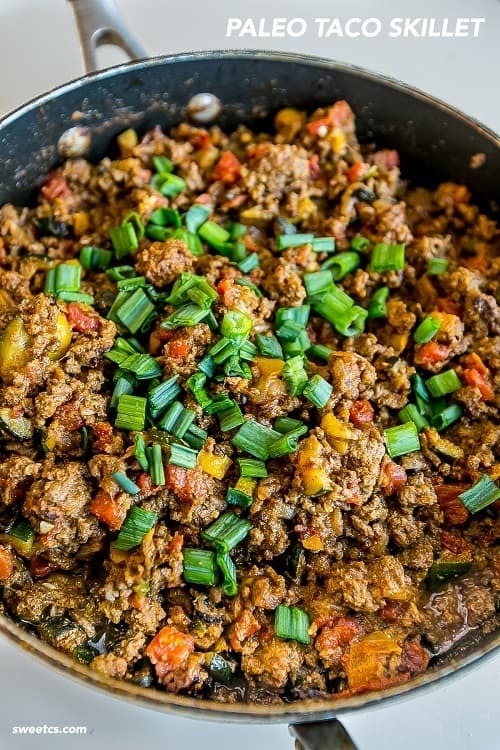 Consisting of ground beef, tomatoes, olives and plantain, this Whole30 ground beef recipe will surely be a great treat for your tummy! 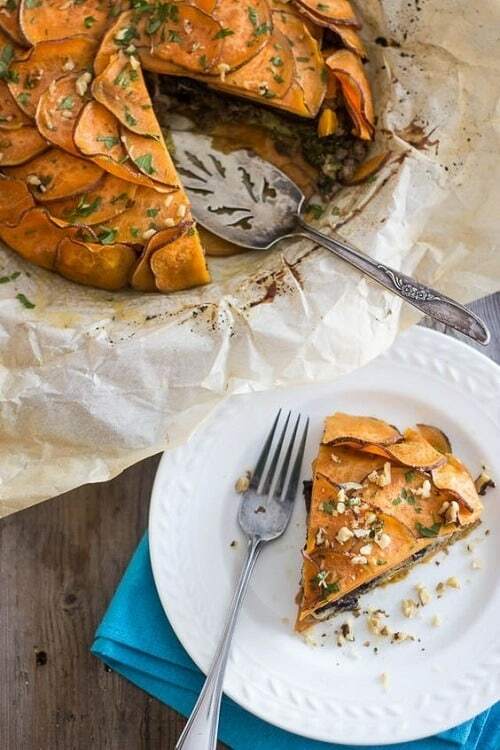 Get the full Plantain Beef Pie Recipe from Stupid Easy Paleo. If you are in for a great Mediterranean treat, this is one dish that you should try. The recipe requires ground beef, chiles, eggplants and tomato paste. 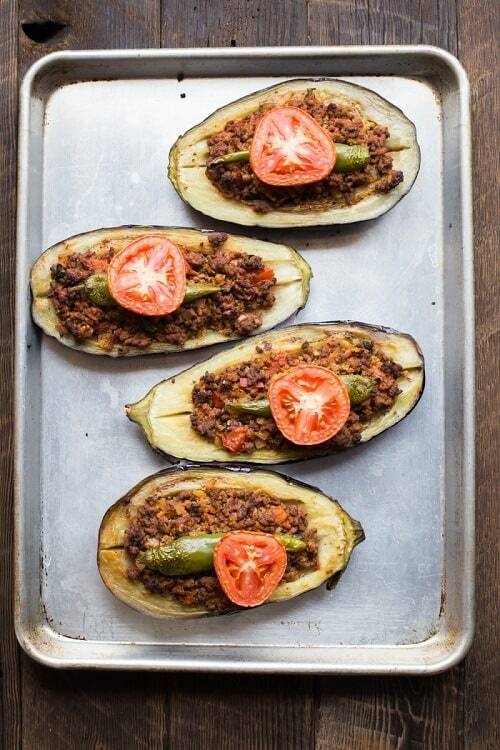 Get the Turkish Stuffed Eggplants Recipe from The Domestic Man. 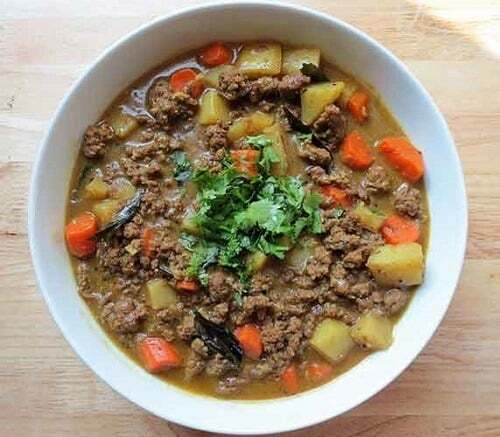 If you are tired of the same old ground beef stew, then try this Moroccan flavored beef stew. The blend of carrots, ground beef, tomatoes and figs are perfect for cold nights. Get the full Beef & Beef Stew Recipe from Things My Belly Likes. This healthy dish is a big hit in many Thai restaurants. Even when on a diet, you can go Asian with this meal made up of lettuce, ground beef, mushrooms and cabbage. 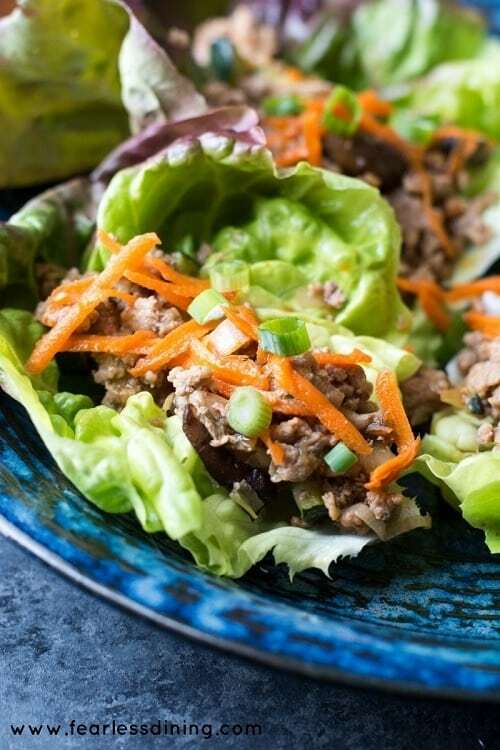 Take a look at the full Ground Beef Lettuce Wraps Recipe from Paleo Plan. This recipe is made of ground beef, bacon, parsley and paprika (so yes, you’ll need to hunt down Whole3o compliant bacon for this recipe). Also make sure you are only using complaint fish sauce – Red Boat is a good option. The best thing about this recipe is that it is rich in potassium, which is usually deficient in Whole30 recipes. Grab the full Beef and Pumpkin Saute Recipe from Keto Diet App. The meaty flavor of the ground beef greatly compliments the nutty flavor of cashew and the rich flavor of coconut aminos in this recipe. 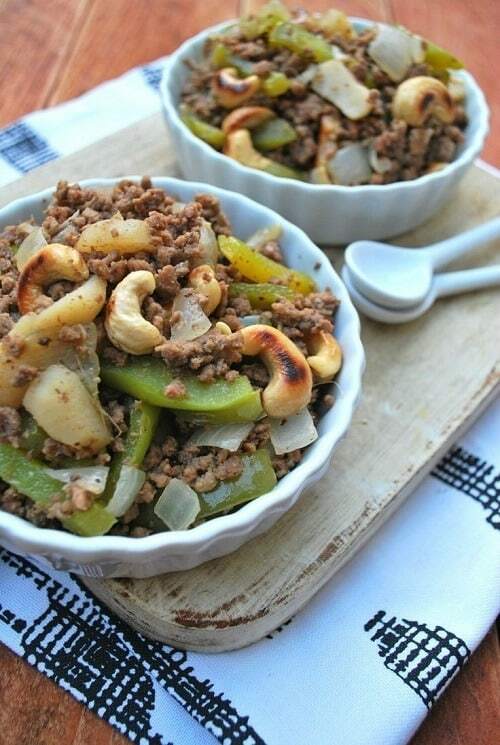 See the full Cashew and Ground Beef Stir Fry Recipe from the Paleo Foodie Kitchen. If you are feeling a bit fancy, then why not enjoy some steak for dinner? This typical TV dinner is made up of dried thyme, almond meal, ground beef and eggs. 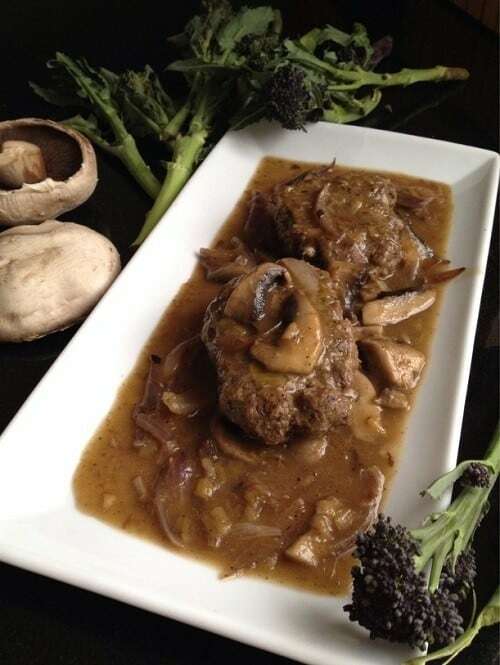 Discover the full Salisbury Steak Recipe from Paleo Leap – just make sure to leave out the optional sherry to keep this recipe compliant. Discover how perfect the combination of meats and fruits can be! This recipe is made up of a blend of ground beef, cranberries and fresh rosemary placed inside an acorn squash. 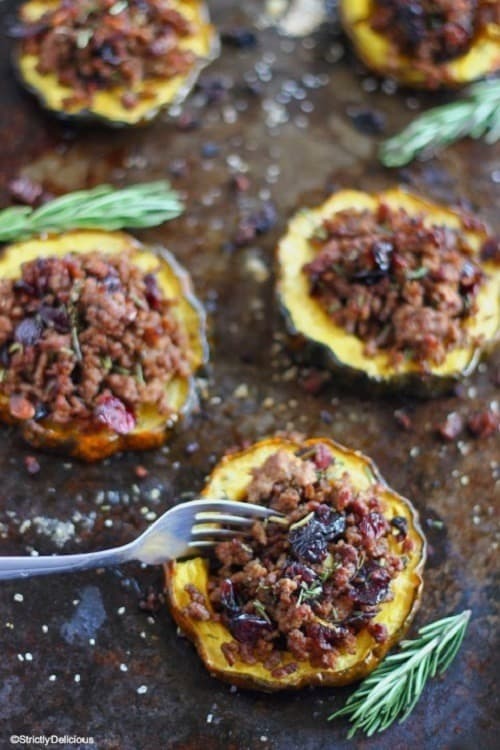 Find the full Ground Beef and Cranberry Stuffed Acorn Squash Recipe at Strictly Delicious. Turn your favorite fast food item into a healthy soup! This Whole30 soup recipe is made marvelous with ground beef, bell pepper, onions and tomato paste. See the full Hamburger Soup Recipe from The Pioneer Woman. The mouth watering picture of this dish does not do enough justice for its actual taste! 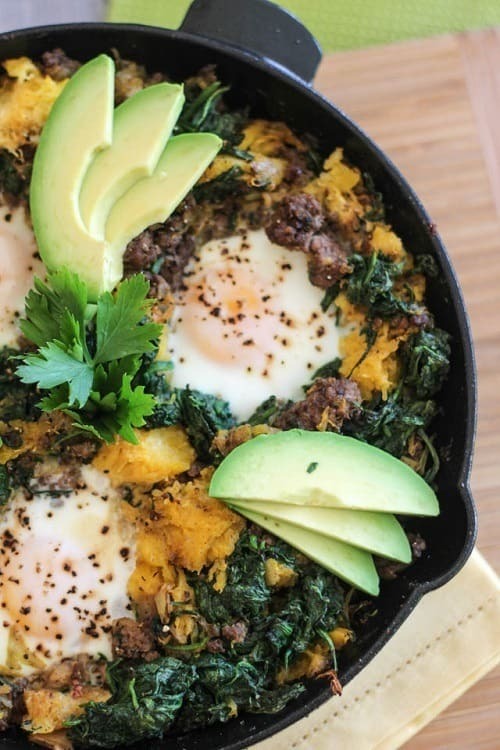 This breakfast skillet is made up of eggs, butternut squash, ground beef, and spinach. Grab the full Ground Beef and Butternut Squash Breakfast Skillet Recipe at The Healthy Foodie. You do not have turn your back on pizza when you are on a diet! This “pizza” uses ground beef as the crust and salsa, green pepper and red onion as toppings. Know the full Meatzza Recipe from Mel Joulwan. 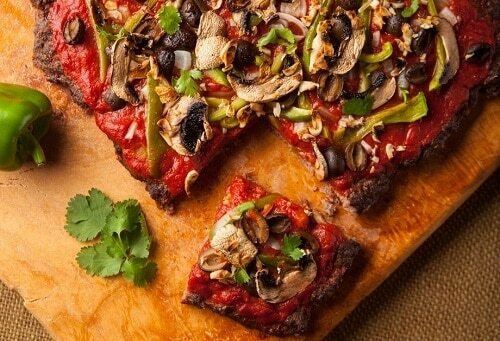 Also check out our collection of Whole30 pizza recipes for more pizza-inspired dishes. If anyone ever claims that clean eating is boring eating, you can quickly prove them wrong with the tasty Whole30 recipes featured here! With the Whole30 ground beef recipes mentioned above, you can stay healthy while eating well. Do you have any Whole30 ground beef recipes to add to the list? Share your favorites in the comments! Almost none of these are Whole 30 compliant. Hi Mark – can you be specific about which recipes you have issue with? I have triple checked and these recipes are all compliant… Perhaps you are referring to a few minor ingredients which need to be left out in a few recipes (sherry, etc). However, I clearly note to avoid those ingredients in the recipe descriptions.